These bass traps work in rooms of any size. Low frequency waves are long and difficult to stop, but corner bass absorbers solve the bass problems that collect in the corners of rooms. For rooms with severe bass issues and multiple walls, we suggest absorbers in every corner. 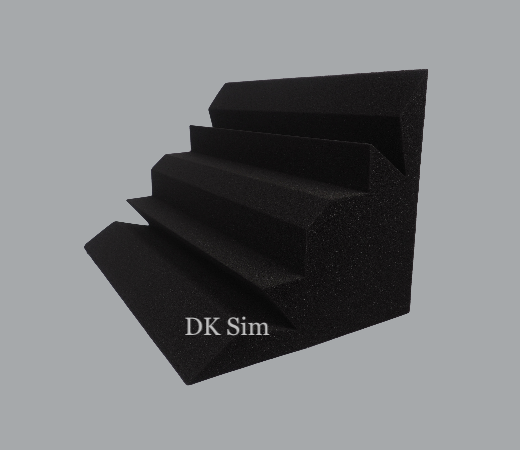 They work great as general sound absorbers and in conjunction with other acoustic products. Acoustic Grid Foams offer ideal acoustic solutions for applications including studios, recording, music rooms, vocal booths, radio stations, broadcast studios and more.